The following wall features a hand painted artwork I created specifically for the space. 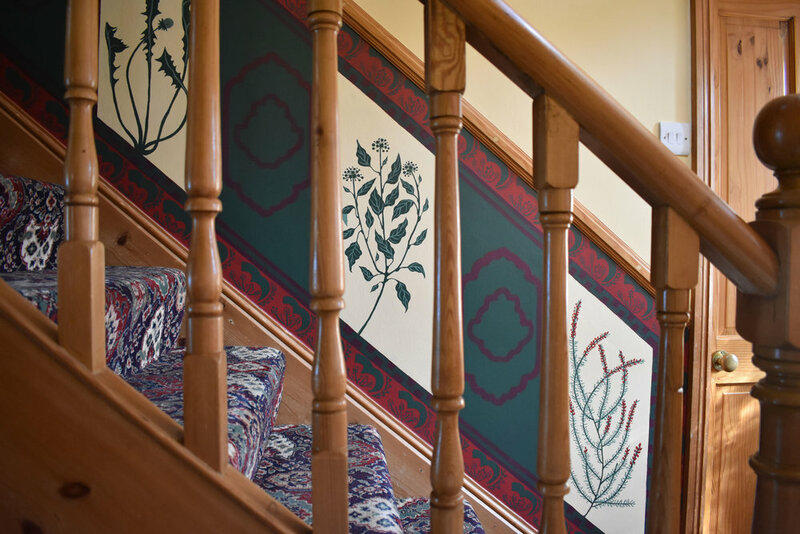 The design snakes up the stairway under the dado rail, mapped out to match the width of the banisters so it can be easily viewed when walking along the ground-floor hallway. Its colour scheme is drawn from the vintage carpet, light wood and natural light already present in the home. The design holds 5 unique elements within a geometric skeleton: 3 boarder styles and two types of picture panels. 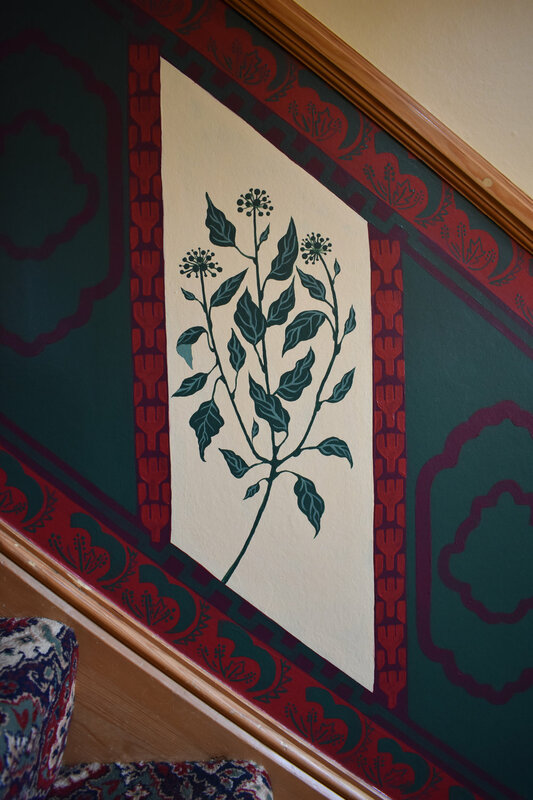 One of the picture panels contains hand painted imagery of the commissioners’ favourite native plants from their garden (heather, ivy, dandelions, honeysuckle hedging, ferns and holly); the other contains a repeating shape designed to compliment the busy carpet pattern. 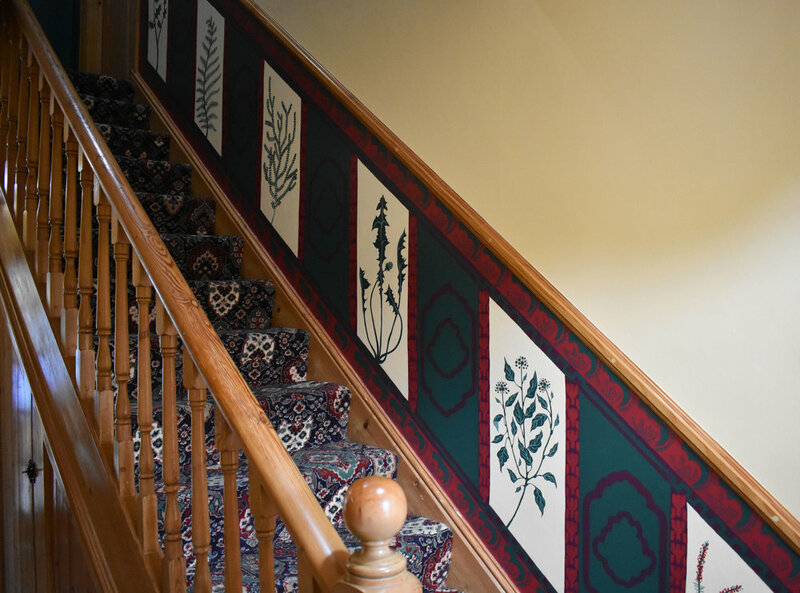 Each of the three boarders contain vastly different, complimentary patterns designs to draw out shapes in the carpet and frame the plant illustrations. 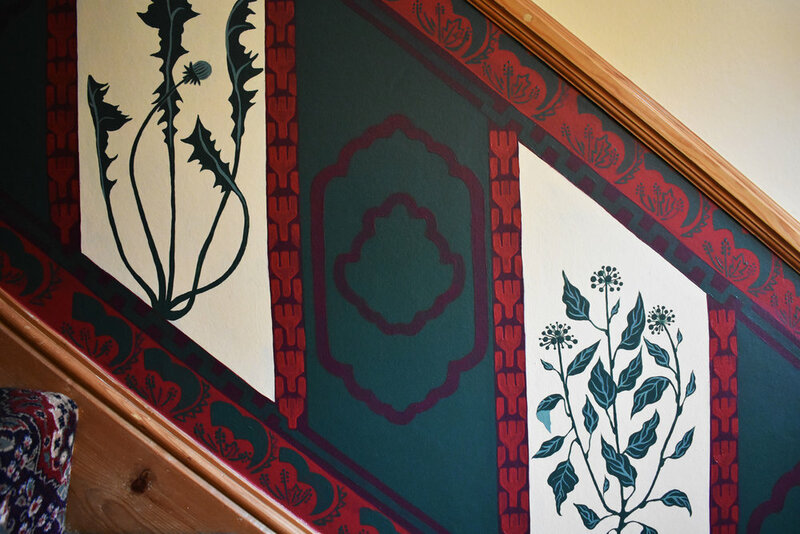 Every element on this wall is painted free-hand - nothing was stencilled or stamped. Every part of the design was created for purposefully for that space. 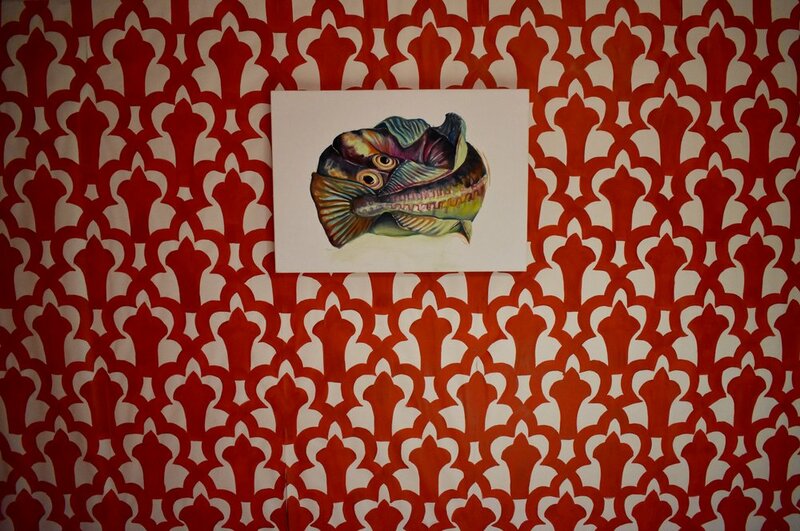 During my residency with First Floor Space in Croydon, London, I designed and painted wallpaper for my exhibition space alongside making paintings and prints. View images of those designs here.